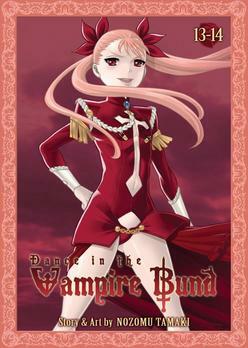 Mina Tepes, the princess of vampires, has set up a special district for vampires off the coast of Tokyo. Mina’s extensive preparations include founding a school that she herself attends, along with her passionately loyal werewolf bodyguard, Akira, in tow. Ever since the day the school opened, rival vampire factions have opposed Mina’s grand vision. They continue targeting the human populace in order to smear Mina’s reputation and sabotage her well-laid plans of vampires and humans living together in peace. The New York Times bestselling manga series is now a 656-page omnibus!This omnibus edition contains volumes 13-14 from the hit manga series Dance in the Vampire Bund.